Production of the Chevrolet Equinox, GM's top-selling crossover in the U.S. and Canada, stopped Sept. 17 at the plant, which employs about 2,750 people. 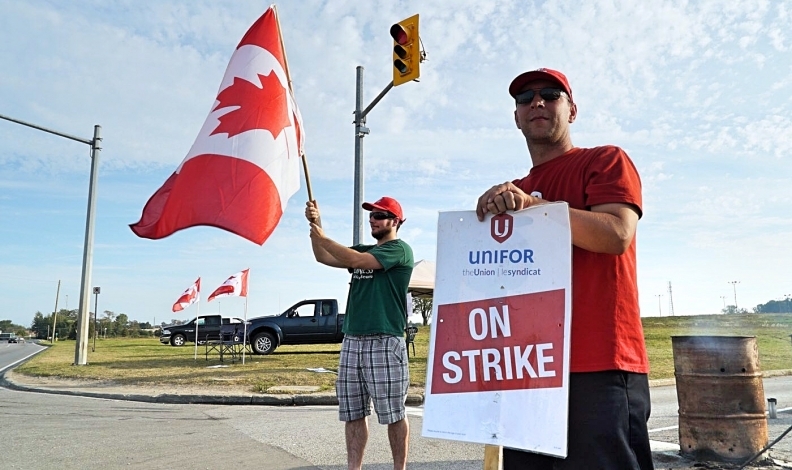 “Some progress” has been made in labour negotiations between Unifor and General Motors, the union said Tuesday evening as the strike continued at CAMI Assembly in Ingersoll, Ont., where the hot-selling Chevrolet Equinox is built. The two sides met Tuesday afternoon, according to a post on the union's website. Unifor Local 88 President Dan Borthwick said GM responded to the proposal the local presented to the automaker Sunday, a week after workers walked out at the plant. Unifor saw enough progress in GM’s response to have the two sides resume negotiations at a hotel beginning Wednesday, Borthwick said. Negotiations are heating back up as the strike is set to enter its 10th day Wednesday. Production of the Chevrolet Equinox, GM’s top-selling crossover in the United States and Canada, stopped Sept. 17 at the plant, which employs about 2,750 people. About 2,400 of those are unionized employees. Borthwick would not elaborate on which issues the sides made progress on, though he did say “several issues remain outstanding,” including economic issues and the union’s demand that CAMI be named the lead producer of the Equinox. Borthwick, Unifor National President Jerry Dias and other union leaders have repeatedly said that they would not agree to a tentative contract with GM unless it included the lead producer provision. The union fears CAMI could otherwise be another Canadian plant to fall victim to lower wages in Mexico. GM already moved production of the GMC Terrain out of CAMI and into a Mexican plant earlier this year, costing the plant about 600 jobs. And the automaker began producing Equinox crossovers at two Mexican plants in April. The Mexican plants have built 40,017 Equinoxes since then, while the CAMI plant has built 132,388 Equinoxes since the beginning of the year through August, according to the Automotive News Data Center.